Cape Scott Provincial Park lies as far north as you can travel on Vancouver Island before plunging into the unforgiving Pacific Ocean. It is a rugged and stunningly beautiful landscape; a wilderness park with deep human histories. Located 563 km north of Victoria, relatively few make the trek to visit. That solitude is a reward unto itself. For just a $10/night backcountry camping fee, you can hike over 100 kilometres of weather-beaten coastline and rainforest trails, glimpse wildlife in their domain, and listen for echoes from the past - the place is steeped in history and cultural importance. Welcome to British Columbia’s west coast! Hikers and nature lovers of almost any ability can find something to satisfy their thirst for outdoor time. With over 80 km of unique trails and coastline to walk on — from an easy 30-minute stroll to down to the white sands at San Josef Bay to epic, multi-day trips – this parks seems to have it all. Trails traverse the park from the San Josef Bay Trailhead, up to the famous Cape Scott and its lighthouse to the northwest, and along the coast to the eastern trailhead at Shushartie Bay (marine access only). Backcountry (walk-in) sites are located throughout the park. There are some forest campsites, but most are beach. Food lockers, pit toilets and tent pads are some of the only amenities. Visitors should come prepared and be self-sufficient. Conditions can be wet, muddy and strenuous. Depending on your attitude, this can be downright challenging or exceedingly fun! Strangers to the area are often shocked to discover that the remoteness and wilderness of Northern Vancouver Island also comes with a rich human history. Cape Scott lies within the traditional territory of the Kwakwaka’wakw people. Throughout the area were villages, trails, hunting routes, and sites used for resource gathering, trading and sacred or ceremonial purposes. First Nations called this area home for millennia. Around the mid-1700s, explorers began probing BC’s coast, seeking wealth, resources and opportunities to expand colonial frontiers. In 1786, Cape Scott was “discovered” and, by the early 1800s the fur trade – particularly in sea otter pelts – had taken off in the region. The now quiet Shushartie Bay used to be a site of a bustling fur trading post and, later, a cannery. Trade opportunities – and later coal mining – created a lot of interest in the area, which led to the first permanent European settlement at Fort Rupert. Within the boundaries of what is now Cape Scott Provincial Park, there were also two major settlement attempts. The first was by a group of Danish families and single men who hoped to create a self-sufficient colony. They faced many challenges – inadequate transportation, limited income, weather, etc. – and, in 1907, the colony disbanded. The second settlement attempt occurred a few years later spurred by land pre-emption opportunities and reports of Cape Scott having the most fertile land in BC. At one point (1913) more than 1,000 people lived in the area! As you hike in the park, you will travel by remains of the old church, community hall, graveyards, and homesteads. Later, World War II triggered a new wave of activity in the area. The federal Department of National Defense (DND) sought to bolster their coastal defenses and identified Cape Scott as a strategic location. From 1941 – 46, the DND took over the Cape area and built a radar station and small military/air force base. In 1960, the Cape Scott Lighthouse was built (in response to increased marine vessel traffic from the completion of the Alcan smelter in Kitimat). The lighthouse remains staffed today and is operated by the Canadian Coast Guard. In 1973, Cape Scott Provincial Park was established to protect the area’s historic importance and unique natural features. In 1995, the area from Nahwitti to Shushartie Bay was added to the park and the concept of a North Coast Trail (NCT) became a major focus of the community vision. Through the fundraising and lobbying efforts of the Northern Vancouver Island Trails Society (NVITS), the concept became a reality. Additional property was acquired and the trail was completed in 2008. For more information about the park, you can purchase the book or see additional resources here. Things to consider before you go. Come prepared. This is a wilderness park with few amenities, no cell phone access, and wet weather. Rugged and remote conditions mean that experienced hikers only should attempt the North Coast Trail. Respect heritage and cultural sites. Leave things as you found them. Practice exemplary backcountry etiquette. Plants and wildlife - everything from wolves to bear, waterfowl to amphibians, crabs to barnacles are affected by your presence here. The coastal western hemlock zone encompasses one of the most diverse and abundant wildlife habitats in all of BC. 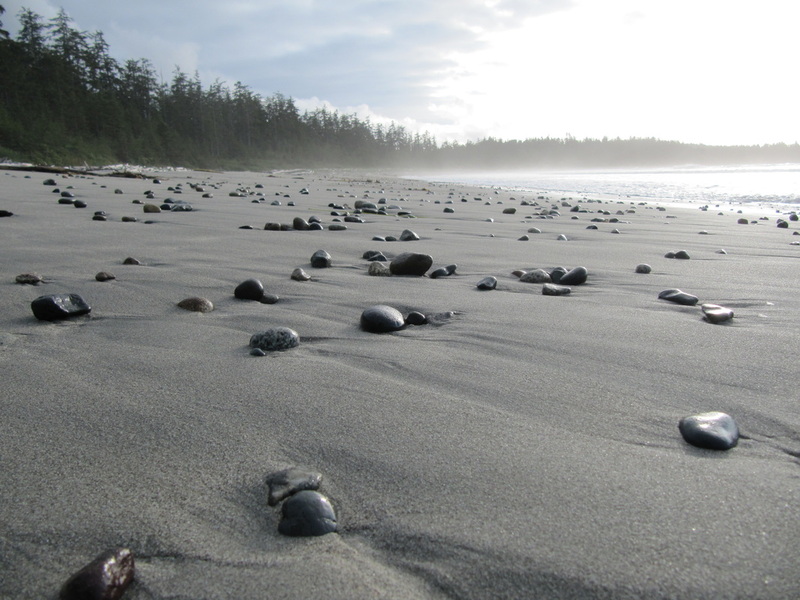 Within Cape Scott Provincial Park, you will encounter a variety of plants and animals, terrestrial and marine. As you hike through the park, you will notice how the plant and animal life changes dramatically depending on the elevation, sun, wind exposure, proximity to the coast, among other things. One of the most unique and important ecosystems within Cape Scott is the upland bogs. These extensive peatland areas are located on elevated plateaus and characterized by stagnant marshy areas, muskeg grown cover, and sparse, scrub forest. Keep an eye out for a variety of mammals and bird species, small and large. 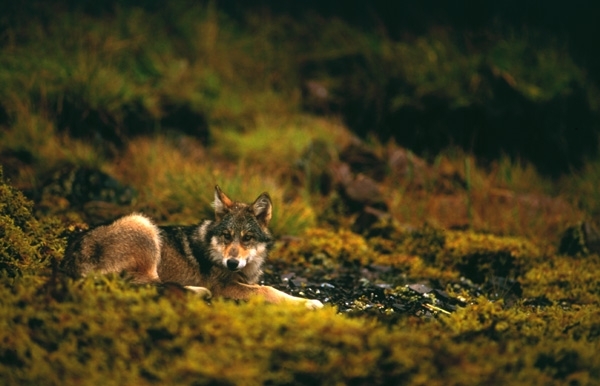 Hikers often see black bear, deer, whales, sea birds, red squirrel, eagles and - perhaps most iconic - the wolf. If you do not see the animals themselves, you will likely see their tracks on the beach.